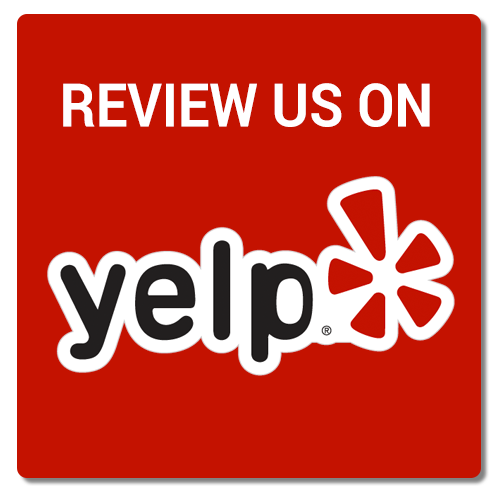 Our teaching staff is a group of highly trained, experienced, and professional men and women who are eager to educate and inspire children of all ages. All of our teachers have worked in the professional dance world (past and present) and pride themselves on passing their knowledge and experience onto their students. Michelle Stafford is one of the top choreographers and dance instructors in the country. She is highly trained in all forms of dance. Michelle has trained with some of the top choreographers such as Mia Michaels, Andy Blankenbeuler, Frank Hatchett, Gus Giordano, Joe Lanteri and many more. Her passion for dance is second to none. Michelle continues to train with the top dance professionals in New York and Los Angeles to enrich her students in the art of dance. Students under Michelle’s direction have won top honor awards and receive numerous dance scholarships at almost every dance competition and convention. Michelle continues to win Best Choreography Awards throughout the country. Her students have gone to college and to the professional arena to pursuer their dance career. Michelle Stafford is truly your Next Step to becoming a well-trained dancer! Ashley began dancing at the age of 3 and grew up in the competitive dance world where she received numerous scholarships and overall awards. She went on to attend Oklahoma City University and graduated with a Bachelor of Performing Arts in Dance Performance with a minor in History. At OCU, she was the deputy of the American Spirit Dance Company, co-directed the OCU Pep Dancers, and was taught the ins and outs of show business. Ashley has performed in theaters all over Texas, and also in the Rob Lake Magic Show and halftime performances with both the Dallas Cowboys and Dallas Mavericks. She has worked professionally at Busch Gardens Williamsburg where she was promoted to Dance Captain. She has most recently been performing in the Shoji Tabuchi Show in Branson, MO as a dancer and vocalist and was part of the 2012 Shoji Tabuchi touring show. Ashley is excited to share her knowledge and passion for dance with the students at Next Step! Jen grew up in Duncanville, Texas where she began dancing at the age of 3. She was a line member, Jr. Lt., and Senior Captain of the Duncanville High Hats Drill Team. She then went on to Navarro Jr. College where she was a Freshman Lt. and Sophomore Captain for the Navarro College Showstoppers. Jennifer was a dance major at Stephen F. Austin State University and a 2 year member of the SFA Pom Squad. She has competed in 4 NDA Collegiate Nationals. Jennifer then danced for the Dallas Mavericks for 2 seasons and assisted the Dallas Mavericks Dancers rehearsals and was an assistant to Shella Sattler for 2 additional years. 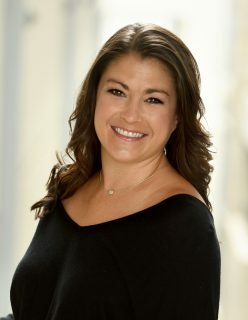 She has been an instructor, choreographer, and adjudicator for American Dance/Drill Team School since 1998 and has choreographed state and national level winning routines for her own teams, high schools teams and various colleges around the country. Jen has been directing studio drill teams and training dancers who aspire to be on a high school or college dance/drill team or dance on a professional sports team for over 15 years. Some of her former students have gone on to dance for the Kilgore College Rangerettes, Apache Belles, Texas Tech Pom Squad, Arkansas Pom, OU Pom, Baylor Songleaders, SMU Pom, Houston Texans Cheerleaders, Dallas Stars Ice Girls, Dallas Cowboys Cheerleaders, and Dallas Mavericks Dancers. Jennifer is in her 6th season as the director to the NBA D-League Texas Legends Dancers. Jen directs all 4 drill companies at NSD. She resides in Frisco, Tx with her husband Bentley and 11 year old son, Skyler. Michael hails from Copperas Cove, Texas where he started out as a competitive cheerleader in high school. Sharpie earned his Bachelor’s of Science in Dance from Stephen F Austin State University where he was on scholarship for cheerleading for two years. After those 2 years he made SFA history by becoming the first male in history to be part of the nationally ranked SFA pom squad. He entered into the professional dance world as an acro-dancer in Les Folies Bergere at the Tropicana Resort and Casino in Las Vegas, NV. He’s been a soloist dancer with the American Solstice Dance company and a dancer and featured silk performer for Royal Caribbean Cruise lines. His dancing took him half way across the world to Tokyo, Japan where he was dance captain and a performer in the show ENCORE at Tokyo Disney Sea. He has also danced in the DFW area with Six Flags Over Texas, the Mary Kay Convention, and performed and choreographed the Miss Texas Pageant. He studied in various studios in New York, Tokyo, Las Vegas, Los Angeles and is now located in Dallas. Ashley began training at the age of seven, and has been in love with dance ever since. She has trained in many styles of dance, such as ballet, tap, jazz, hip hop, lyrical, modern and Pointe, and has taught and assisted at many dance studios around the Dallas/Fort Worth Area. Ashley has also received numerous scholarships and awards from conventions and competitions around the nation, as a part of national winning competition companies, as well as being excepted in many Ballet Summer Intensives and Programs. She traveled to Europe to perform on tour with “Tanzommer”, performed alongside the Urban Ballet Theatre, participated in performances with the Dallas Summer Musicals, such as the production of the Wizard of Oz, performed various roles in “The Nutcracker”, along with many others, as a member of the Dallas Repertoire Ballet, as well as danced for a local Arena Football team. Ashley has also performed in various Dallas Cowboys halftime shows, YELP events, was featured in commercials, such as Beauty Control and “Welcome to Texas”, was a member of the Dallas Dance Company for two seasons, performed as a backup dancer in pageants and shows, music videos, and local events across the US, was a dancer for the opening production of the Gospel Music Awards, and was featured as a model and talent for Macy’s Department store fashion show. Ashley has choreographed for many drill teams and dance teams across the US, as well as other local shows and recording artists. In high school, Ashley began to develop a passion for teaching and choreographing, and has taught and choreographed ever since. In her free time, Ashley does freelance makeup for weddings, photo shoots, etc. Malana Murphy is the founder and producer of Dallas’ premier tap festival, Rhythm In Fusion Festival. RIFF’s inaugural year hosted some of America’s top talent in guest artists and has grown into the international success of hosting and celebrating tap dancers from all across the states and Mexico while also producing tap concerts, student showcases, and tap history seminars. Malana’s passion for bringing master teachers from around the globe to the Dallas community has provided opportunities for tap lovers to learn, share, and grow, building on the traditions of generations of tap artists. As the tap director at Next Step Dance in Frisco Texas, Malana has had the opportunity to share her love and passion for tap dancing while training and choreographing award winning dancers and tap works. Throughout her teaching career, she has been able to work with thousands of tap dancers locally and throughout the states, building on the tap community, aka the “tap family”. Malana began her training at a very early age and began performing at the age of 7. Her first professional debut came at the age of 14 while performing in a production choreographed by Gracie Tune, sister of award winning Tommy Tune. As a teenager, Malana was accepted into the dance program at Booker T Washington High School for the Performing and Visual Arts where she received extensive training in ballet and modern. She graduated with honors and became a soloist for their performing company during her senior year. Malana has performed for numerous companies including American Airlines, Redken, Mary Kay, and Frito Lay, and has performed with Fabian, The Monkeys, and Mitch Ryder and The Detroit Wheels. Bringing the tap community together, growing in abilities and numbers, and fusing rhythms, tap dance, and music with as many styles, techniques and ideas as possible has become Malana’s goal for the tap community. She desires to expand what is traditionally thought of as tap dance and to keep it growing, fresh and relevant, while still preserving and honoring the traditions of the legends and creators of the past. 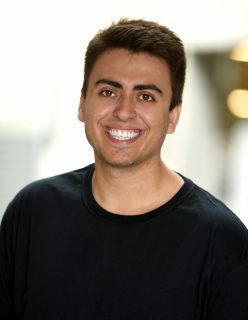 Nick Gomez grew up in Dallas, TX where he graduated from Booker T. Washington HSPVA and is trained in many forms of movement including Jazz, Tap, Modern & Contemporary dance, Classical Ballet, Ballroom, African, and Hip-Hop. After his Dallas training he went to Point Park University where he was studying to get his BFA in Jazz/Modern dance. Nick currently tours across the United Sates teaching and judging for Dupree Dance Convention. This past year, Nick moved to Lincoln Nebraska where he was the Co-Director of True Dance & Co. where he has been awarded numerous choreography awards and recognitions. He has previously toured with Adrenaline Dance Convention, 24/7 Dance Convention and New York City Dance Alliance with choreographers such as Joe Lanteri, Justin Giles, Sonya Tayeh, Tyce Diorio, Chris Jacobsen, Andy Pellick, Travis Wall, Nick Bass, Stacey Tookey, Peter Chu, Jason Parsons, Jessica Hendricks, Suzi Taylor, Dana Wilson, Pam Chu, Lauren Adams and many more. Nick was an Award Winner and Finalist in Jazz and Tap in the 2013 National YoungArts Foundation Week in Miami, FL. Nick has had the opportunity to perform with Kelly Clarkson, Carrie Underwood, and the Jonas Brothers in various Dallas Cowboys Halftime Performances. He has also worked with Christopher Gatelli -choreographer of “Newsies, The Musical” as a performer in the Fred and Adele Astaire Awards in New York City. He has also done numerous performances around the Dallas area with Rhythmic Souls, a tap dance company under the direction of Katelyn Harris. Fiona has been dancing and training professionally for over 20 years. She was trained primarily by her mother Fiona Fairrie, who danced with the Royal Ballet and was a Soloist with the Stuttgart Ballet. Fiona-Lise attended ballet boarding schools including National Ballet School of Canada, The Royal Winnipeg Ballet School, and North Carolina School of the Arts. While a student, she was selected from the Royal Winnipeg Ballet School to dance with the professional company in their “Romeo and Juliet” and “Don Quixote” productions. 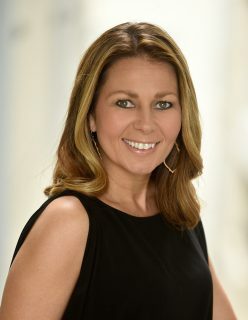 She has taught throughout the country at schools including the Rochester City Ballet, Draper School for Dance Education, Pittsford Dance Studio, the Dallas Dance Academy, Power House of Dance, Next Step Performing Arts Center, Dance Industry, Park Cities Dance, The Dallas Conservatory and now teaches for the Dallas Youth Repertory Project. She has choreographed for Power House of Dance, the Dallas Conservatory, Dallas Youth Repertory Project, Pittsford High School’s Show Choir in New York, as well as Wheatland Chili’s High School Musical, “The Wiz.” Fiona has had over ten students in the New York Final Round of the prestigious International Ballet Competition Youth America Grand Prix. Two of her students won the “Hope Award” and the “Youth Grand Prix,” the highest level of award given in their age group. Her students have received full scholarship to the School of American Ballet, and have been accepted and attended Ellison Ballet, the school of the American Ballet Theater, Pacific Northwest Ballet School, Boston Ballet School, The Georgia Ballet School, Joffrey Ballet School, Alvin Ailey, San Fransisco Conservatory, and Alonzo Kings Lines Ballet. Before discovering her love of teaching, Fiona-Lise danced aboard Carnival Cruise Lines cruise ships in their award winning Musical Theater and Las Vegas style shows. She also danced with Jill Rucci’s 8 & 1 jazz and contemporary company in Dallas. Local Lewisville High school graduate, Texas Tech University Alumni, and former “RAIDER RED” (the Texas Tech University Mascot), Derrick is no stranger to the world of dance or the entertainment business. Derrick has choreographed and performed globally and has been recognized and awarded as both a dancer and a choreographer. 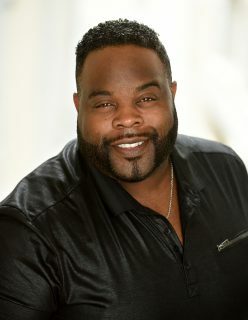 His credits include performing with Grammy award winning group Destiny’s Child during the 2004 Dallas Cowboys Visa Thanksgiving Day halftime show, principal dancer on the Tuaca Body Art Ball national tour for two years, and televised halftime performance during the MLS Soccer Championship just to name a few. He was also Assistant Choreographer for the Dallas Cowboy Cheerleaders 2007 halftime show featuring Grammy award winner Kelly Clarkson and a 6-time Monsters of Hip Hop scholarship recipient. Not only has he choreographed for numerous competitve dance teams across the country where his work has won numerous awards, he also has choreographed corporate industrials and performances for companies such as JC Penney, Reebok, Pepsi, OG Coffee, the NFL, and the NCAA. Derrick continues to train with top choreographers in L.A., New York, Chicago, Dallas, and across the country and enjoys teaching and sharing his knowledge and love of dance with all. Yulia was born to professional championship athletes in Kiev, Ukraine. Enforced with a commitment to hard work, her mother took her to the “arts school” in Kiev at the age of 7. On seeing her physical abilities, famed dance professor, L. Shatilov exclaimed, “A child like this is born once in a hundred years. She must be professionally engaged in the ballet”. Yulia attended the Kiev Ballet School in 1991, the only specialized school in the Ukraine at trains professional ballet dancers. By the end of the fourth year that training, she had already been included in the corps de ballet scenes of the National Opera of Ukraine, among the older dancers. During the last year she danced solo, Pas De Deux and a number of modern dance compositions. Upon graduation, she was the only one in the class who received a contract with Eifman Ballet Theater (St. Petersburg, Russia). From 1999 to 2004, as a member of the theater, Yulia toured all over the world. She danced in the U.S., France, England, Germany, Poland, Spain, Portugal, Israel, Croatia, South Korea and other locations. In addition, Eifman’s Theater performed on numerous Russian stages including the Bolshoy Theater in Moscow. In 2004, Yulia decided to expand her experience in teaching and choreography. At the invitation of A. Andreev, honored artist of Russia and master of the St. Petersburg State Theatre Arts Academy, she was selected as assistant teacher- choreographer of his Drama class. Working with students of the Drama Department opened new pathways of artistic thinking and ways to apply it through many mediums in the profession. Yulia realized that in order to dance well, one does not necessarily have to encompass perfect physique and ballet training. When creating choreography for students, she tried to focus not only on common rules, but also on individuality of the artist. Ultimately, applying the same principle, she choreographed several productions for Operetta Theater, such as “Sylva”, “Cinderella”, and “Mr. X”. The 2005 premieres of these productions were successfully held in Riga, Latvia; Vilnus, Lithuania, and are standard repertoire for the Operetta Theater program. In 2007, Yulia returned to performing on the stage and became a member of the St. Petersburg State Academic Theater named after L. Jacobson. A month after signing a contract, she was promoted to the position of Principal Dancer. As a Principal, she toured extensively with the Theater in Russia, U.S., Mexico, Germany, Japan and Israel. Yulia’s repertoire includes principal and soloist roles in many classical and contemporary ballets such as Swan Lake, Giselle, La Bayadere, Romeo and Juliet, Nutcracker, Carmen and many more. Her performances received high critical acclaim. In 2010, the St. Petersburg Committee of Culture awarded Yulia the Diploma of Recognition: “for the best preservation of traditions and invaluable contribution to the development of Russian ballet”. In the conferral of her certification, to ascribe to the highest status for the Principal Dancer, the chairman of the Certification Commission stated: “Images of Ms. Ilina’s characters, written in secretly-fragile choreographic patters, unveils a saturated palette of her diverse personality. Each new work opens up new facets of her talent. 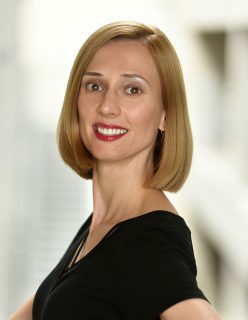 She is able to lead and to assist the partners exceptionally well in the creative process.” In 2012 Yulia moved to the U.S. and became the guest Principal Dancers for the Avant Chamber Ballet, Collin County Ballet Theater, Denton Contemporary Ballet, International Ballet Theater, Mejia International Ballet and many others. As a teacher she worked for Hathaway Ballet Academy, Park Cities Dance, Studio A Dance and the Denton Ballet Conservatory. 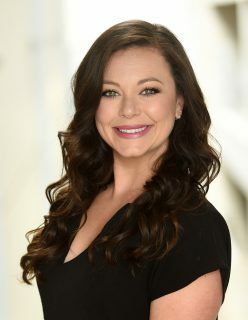 She also has been a guest teacher for University of North Texas, South Methodist University, Mississippi Ballet Theater, Texas Youth Ballet Conservatory and The Dance Space. In 2015 she graduated from the St. Petersburg State Theater Art Academy holding a Masters Degree in Teaching and Theater Administration. Tina got her start in the dance world right here in Dallas, TX. Along that journey she received numerous awards, scholarships, and performance opportunities. She went on to attend Kilgore College where she studied psychology and dance. While attending KC she was a member of the 52nd line of the Kilgore College Rangerettes. She performed for President George Bush Sr., as well as Embassies and Dignitaries all around the world. She was featured in many nationally televised halftime performances with both the Dallas Cowboys and the Dallas Mavericks, televised holiday events that include the Macy’s Thanksgiving Day parade, and commercials. She worked for American Drill Team School as a staff member. There she was responsible for choreography, instruction and demo videos, teaching and facilitating summer dance camps and weekend clinics, as well as judging competitions and try outs. Tina has also taught pre-school at Prestonwood Christian Academy’s Christian Learning Center where she was responsible for movement class for the school. She has a passion for finding those brief teaching moments, and using them to inspire and build confidence. Tina is incredibly honored to be a part of such an amazingly talented team of instructors that she considers her extended family. She and her husband Rex, live in Frisco, TX with their 3 children Sophie, Karl, and Sarah Kate. Katy began dancing at the age of three and has not stopped! She joined Drill Company at the age of 10 where she trained in Ballet, Pointe, Tap, Jazz, Lyrical, Hip Hop, Turns/Technique, and Drill. She served as an officer of her Jr High team as well as at John Paul II High School. In 2011, Katy Became a member of the Kilgore College Rangerettes, and was also selected as a member of their elite team, Swingsters. During he time as a Rangerette she performed for Cotton Bowl, the 70th commemoration of Pearl Harbor, President Obama’s Inaugural Ball, and numerous parades and Cowboys football games. 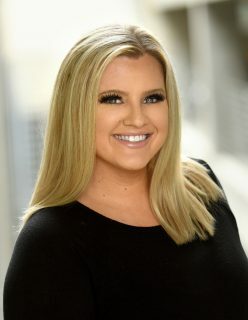 Furthering her education, Katy attended Texas A&M University where she graduated with a Bachelors of Science in Kinesiology with an emphasis in Dance Science. 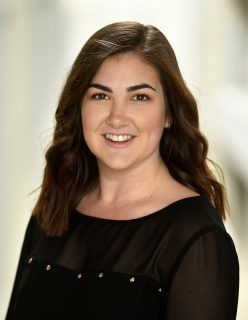 She has been a staff member for American Dance and Drill Team Company for 5 years where she has conducted camps across Texas teaching choreography, leadership, and technique workshops. Peg Waldschmidt has been a Vocal Coach, Musical Theatre Director, Theatre Director, Accompanist and Choreographer since 1985. She has a Masters Degree in Music and a Minor in Theatre with specialties in Musical Theatre and has taught for over 25 years. 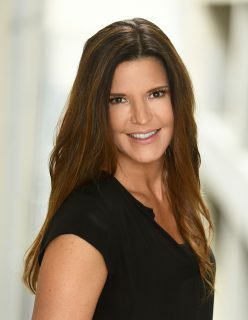 Her students are currently featured in roles on Broadway, National Tours, Off Broadway, TV series, Cruise Lines, Theme Parks, and local artists in the Dallas area. Peg has personally performed professionally through out the Midwest and Dallas area and continues to pursue her craft. 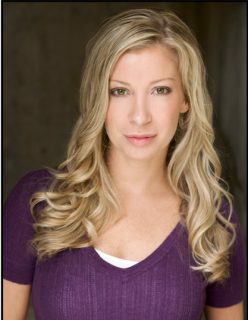 She has worked with numerous students who were accepted to participate in the prestigious Broadway Theatre Project – www.broadwaytheatreproject.com as well as received significant scholarships to pursue their passion in college. She draws upon diverse acting, dance and singing techniques and merges them with her personal coaching approach to reach their artistic potential. Peg has trained intensively in Vocal Mixing, Musical Theatre, Classical Opera, Rasa Boxes, Shakespeare, Link later technique, Dance, and Yoga that influence and refine her innovative techniques. Pegs’ diverse Vocal and Theatrical foundation are the driving force to develop the individual student. Katelyn has been performing, choreographing, and instructing around the world for the past 15 years. She grew up in Dallas, TX, training in many styles of movement including rhythm tap, classical ballet, jazz, contemporary, hip hop, and hatha yoga. In addition to her extensive dance education, Katelyn has received a Yoga Teacher Certification through Namah Shivaya International School of Yoga (2011) and a Massage Therapy License from Parker University (2012). 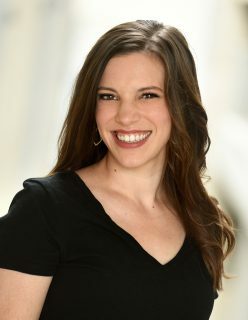 After receiving a well-rounded dance education from schools around the country, and teaching and choreographing in every genre, Katelyn found her niche in tap dance when she joined the Austin-based Tapestry Dance Company in 2006. She was a principal dancer with Tapestry from 2006-2010 and toured internationally with the company’s production of “The Souls of Our Feet.” Performing tribute dances in the roles of Eleanor Powell, Bill “Bojangles” Robinson, and many other famous tap dancers, she fell in love with the art form. Katelyn was nominated for best dancer by the Austin Critics Table awards for her roles in “The Souls of Our Feet” (2008) and “Ears Wide Open” (2010). Through her work as a student, performer, and teacher she has been very fortunate to learn from such great masters as Acia Gray, Jeni LeGon, Harold Cromer, Brenda Buffalino, Sarah Petronio, Arthur Duncan, Dianne Walker, Derick Grant, Max Pollak, Barbara Phillips, Tasha Lawson, Jay Fagan, and Jason Janas. Katelyn has been on faculty for ‘Third Coast Rhythm Project’ in San Antonio, ‘Rhythm, Body, & Soul Festival’ in Calgary, Nick DiNicolangelo’s SYNCOPATE in New Jersey, and One Rhythm Dance Convention. Her innovative, contemporary tap choreography has won numerous awards and honors on the local and national level. In 2015, she was selected by the Dallas Observer to be one of six Observer “Masterminds” for her role in promoting and sharing tap dance in Dallas. Katelyn is currently Artistic Director of Rhythmic Souls Tap Company and is spearheading a movement to put tap dance in Dallas on the international map through new creative projects and collaborations with fellow artists! Jennifer is a native from Plano, Texas. She grew up as a competitive dancer and won many scholarships and awards at both conventions and competitions. In high school Jennifer cheered for the Prestonwood Christian Academy nationally recognized competitive squad and other competitive teams in the area. She won NCA awards in leaderships, All-American, and performance while leading her teams to national championships. 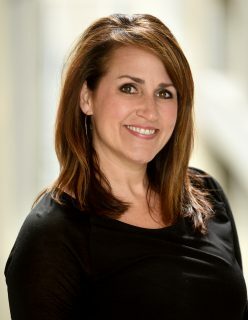 Jennifer then became a member of the Auburn University Tiger Paw Dance team before moving back to Texas and coaching competitive cheerleading. Jennifer also became the lead technical choreographer for the Prestonwood Baptist Church youth and Christmas productions. She began teaching dance in 2008 for both recreational and competitive dancers. In 2011 Jennifer married her husband Tyler Amburn, and in 2012 they moved to Austin where she became a co-director and choreographer for a pre-professional dance company, Austin Dance Works. She also helped to revive a professional dance company, Third Coast Contemporary, and worked as both a performer and choreographer. Many of her pieces went on to win awards and recognition at conventions, competitions, and company shows. After leaving Austin, Jennifer and Tyler returned to the Dallas area where she auditioned to become a Dallas Cowboys Cheerleader. Jennifer cheered from 2013-2017 and was named Rookie of the Year, a 4 time Show Group member, spent 3 years in leadership, and most recently was the 2017 Pro Bowl Cheerleader. Growing up Jennifer had the opportunity to be a Jr. DCC and has great memories of performing at halftime shows, working with the cheerleaders, and being a part of the Cowboys organization. This is why she is so passionate to bring this incredible team back to life, and cannot wait to do so by partnering with Next Step Dance. 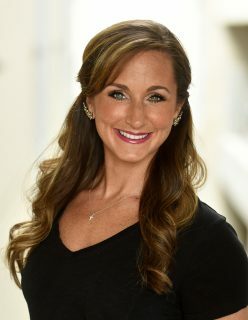 As she continues to work as a choreographer, camp instructor, and all-star for the Dallas Cowboys Cheerleaders, she is truly the most excited about running this unique program and inspiring children all over Texas. Kristianne began her dance career training in classical ballet with Tanju Tuzer in Richardson, Texas. She received a scholarship to the Houston Ballet Academy and began her professional career at the age of 15. Next she worked with Ballet Oklahoma and then moved to Dallas where she performed with Moonslice Dance Theatre and the Dance Consortium. In 1994, Kristianne moved to Arizona and was a principle performer with Center Dance Ensemble for 7 years, also functioning as an original member and rehearsal director for Scorpius Dance Theatre and Tribe Light Bizzare. She was the ballet instructor at Metropolitan Arts Institute for 4 years. She served as the Dance Department Chair as well as ballet and modern instructor at New School for the Arts & Academics from 2002-2004. She was on the faculty at Scottsdale Community College, Destiny Dance International in Phoenix and Classic Image Dance in Mesa, Arizona. Kristianne became the first Ballet Mistress for Dupree Dance conducting master classes throughout the country in ballet, lyrical and modern. Kristianne is proud to be a long-time faculty member for Dupree Dance and is especially thankful to still be on the Dupree faculty as they celebrate their 40th season! 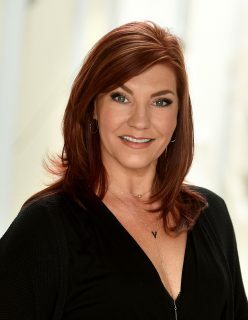 Since relocating to Texas in 2005, Kristianne has been on faculty with Academy of Dance Arts in Allen, KJ Dance in Plano, Tuzer Dance Center in Richardson and Lifesong Studio in Grapevine. Kristianne choreographed for Momentum Dance Company in 2016. She was the Dance Director as well as Ballet Instructor at Lifesong Studio from 2013-2016 and is currently the Studio Manager of The Bar Method Dallas-Park Cities. Kristianne is the proud mother of two and is elated to be joining the team at Next Step Dance! Choreography residencies include Desert Vista, Dobson, Highland, McClintock, Red Mountain, Ironwood, Centennial, Central, and Mesa High Schools in Arizona. She also conducted master classes in Kansas, Oregon, Washington, Alaska and Canada. Kristianne danced in two feature films, Tank Girl and Anastasia; performed in Glen Campbell Rhinestone Cowboy UK video and has also appeared in national commercials, infomercials and print ads for Pure Fitness, Michelob Ultra, Swab +, John Beck “Free and Clear” and many others. Jenny Durbin Smith is one of Dallas’s most sought after award-winning choreographers. Her resume reads like a “who’s who” list in the dance industry! She trained in jazz and hip-hop during her college years at the University of North Carolina at Chapel Hill while obtaining a double degree in journalism and communication studies. During her time at the University of North Carolina at Chapel Hill she was a member of the national award-winning cheer and dance teams. Jenny has been a member of the NBA Dallas Mavericks Dancers where she served as captain in her second year. She has also been a principle dancer and actor for many national industrials, commercials and films. Jenny’s dynamic choreography has been featured on many national television commercials, industrials, films, reality television shows, and international stages including Hasbro, Mary Kay, ‘America’s Got Talent,’ MTV’s ‘TRL,’ and Monday Night Football. In addition to being the proud director of the NFL’s first and only co-ed hip hop crew, the Dallas Cowboys Rhythm and Blue, she is a choreographer for the Dallas Cowboys Cheerleaders, a master instructor for Professional NFL and NBA Cheerleading & Dance Conventions including All Pro and Choreography Pros, a contributing choreographer for the NFL’s Pro Bowl, and travels the country choreographing for numerous high school, collegiate and professional dance teams and dance studios. Jenny was recently featured in Dance Track Magazine, Dance Team Magazine and Inside Dance! since traveled and competed across the United States both with his partner and his students in all four ballroom genres. 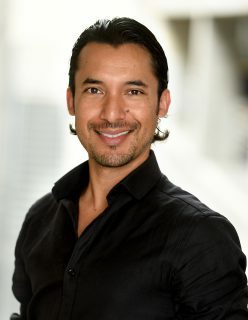 He has guest taught Master classes at Booker T. Washington, UTD, Texas Womens University, UNT, and numerous dance studios and public schools in the dfw metroplex. 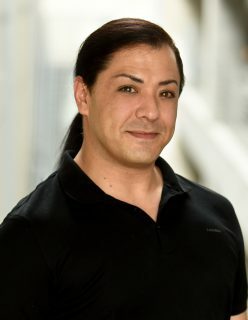 His biggest accomplishments include competing in both London and Blackpool at the Blackpool Dance festival, attending the World Dance Congress, and teaching children as a teaching artist for Dancing Classrooms. His most influential and continued inspiration come from being fortunate enough to work with, and continue to learn from, great coaches and world champion dancers including Martin Lamb, and Shirley Ballas. They have continued to influence his passion for knowledge in becoming a better dancer and teacher. Lisa has been teaching in the dance industry for over 25 years. She has been a head instructor, program curriculum developer and choreographer for NCA Danz, NCA collegiate program, and USA dance. She is a former captain of the NCA national award winning Navarro college Showstoppers dance team, former 5 year veteran of the Dallas Mavericks Dancers, she has danced professionally in numerous shows, and infomercials, including Mary Kay, Beauty Control, and Juice Plus. Her love for dance branched out into ballroom about 13 years ago. 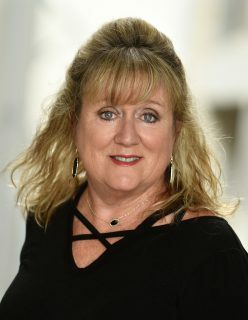 She taught for the nationally renowned program called Dancing Classrooms, which is featured in the films, “Mad Hot Ballroom” and “Take the Lead”. 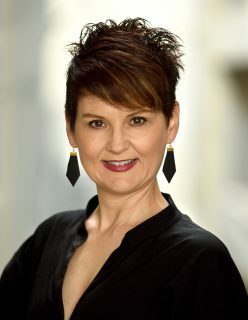 She and her partner, israel Peña developed and directed the ballroom dance program at Power House of Dance Dallas and Frisco for the past 9 years. Along with there program at the studio, they have taught numerous workshops, master classes, dance intensives, and given seminars to elementary, middle schools, high schools, and universities, including Booker T Washington HS, University of North Texas, TWU, and UTD. She and her partner also compete professionally in the international Latin division and have competed all over the country and abroad. Their highlight to date was competing in London and at the Blackpool Dance Festival. She continues to train and study with award winning and world renown coaches,from all over the world, such as Shirley Ballas and Martin Lamb. Mary Alice began dancing at the age of four years old and it has been her passion ever since. She has trained in many styles including jazz, tap, ballet, modern, lyrical, drill, and hip hop. She became a member of drill company when she was ten years old and remained a team member until she graduated high school. In her years on drill company, she won countless awards and national titles as a team member, trio, duet, and solo. After graduation she auditioned for the Kilgore College Rangerettes and earned a spot on the seventy second line. During her time as a Rangerette she performed in numerous football games, parades, Dallas Cowboys games, Cotton Bowls, Rangerette Revels, President Obama’s inauguration, and the 70th anniversary of Pearl Harbor to name a few. After Kilgore, she attended Texas Tech University where she received her bachelors degree in dance and a minor in psychology.